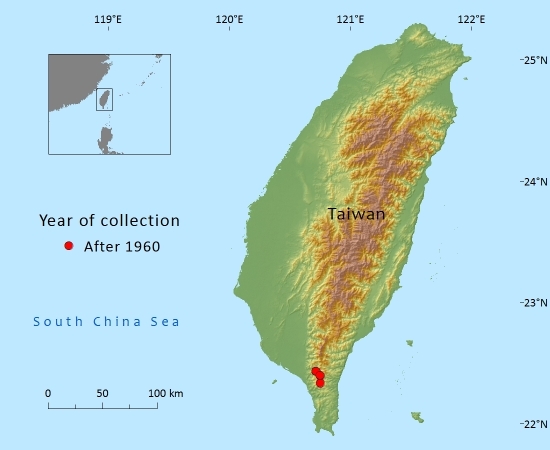 Endemic to Taiwan in the Hengchan Peninsula: Tawu, Kutzulunshan, Chachayalaishan and Lilungshan. The extent of occurrence is estimated to be between 100 and 200km² with an estimated area of occupancy of up to 20km². There are fewer than 5 locations. This species is very localized and scarce. Previous population estimates have been as high as 3000 trees. However, more recent research indicate that many closely spaced 'individuals' are derived from a single tree that has resprouted following cyclone damage or landslides. In addition, many are immature and non-reproductive. A more conservative estimate indicates that there are 300–500 mature individuals (Shau Ting Chiu, pers.comm., 2011). 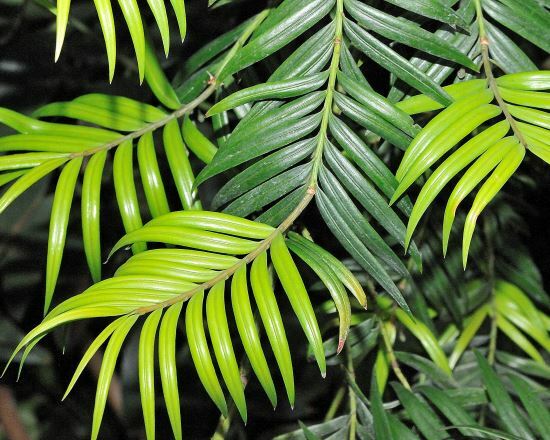 This is a rare tree in montane evergreen tropical rainforest and broad-leaved subtropical forest. It is usually found on steep slopes, in ravines, or on cliffs in the sub-canopy under taller trees. Its altitudinal range is between 500 and 1300 metres above sea-level with most trees occurring above an altitude of 900m. In these primary forests members of the Fagaceae (Castanopsis, Lithocarpus, Quercus) are often the dominant or emergent trees and there is an abundance of ferns, including tree ferns, and shrubs. The wood, though of small dimensions, is valued and used for the making of furniture, farm implements, tools and utensils, and wood turning for souvenirs. 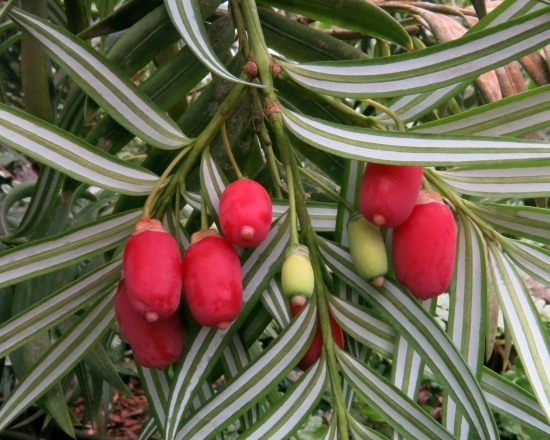 This species is in cultivation as an ornamental tree in China, Japan and Taiwan, but very rare and only seen in some botanic gardens elsewhere. Its broad, white bands of stomata are very striking, although normally hidden from view on the underside of leaves. Lack of commercially available cuttings or seed has prevented this species from being grown more widely; it is obviously not suitable for climates with winter frost. This species has previously been evaluated as Endangered (Lu, 1996) and as Critically Endangered (Farjon & Page, 1999), both under the now superseded 1994 criteria. Under the current criteria, the extent of occurrence, area of occupancy and number of locations could indicate an assessment of Endangered under the B criteria. However, a recent or continuing decline has not been documented. The absence of such a decline also precludes the use of the C criterion even though the most recent population census indicates that there are only 300–500 mature individuals. An assessment of Vulnerable under the D1 and D2 criteria is warranted given its limited distribution, small population size and vulnerability to stochastic events. 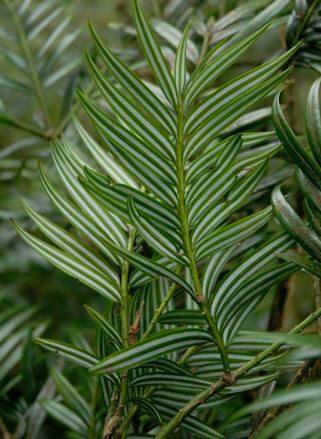 Until recently, the greatest threat to it appears to have been be conversion of native mixed evergreen forest to plantations with primarily Cryptomeria japonica. The declaration of a specific conservation area for this species within a larger reserve has reduced this threat. Stochastic events such as cyclones and landslides are additional threats, especially considering the small population size and limited distribution. 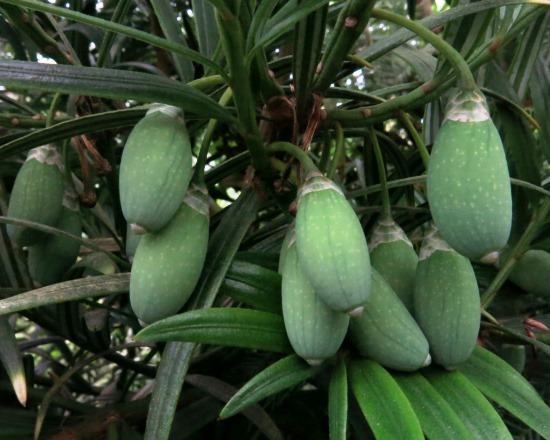 The species is covered by Taiwan's Cultural Heritage Preservation Law. 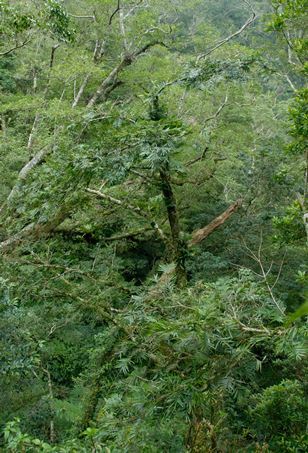 The 86ha Tawu Amentotaxus Reserve was specifically established in 1988 to protect this species. It lies within the 470km² Tawu Mountain Nature Reserve. Lin, C., M. Chan, F. Chen & Y. Wang. (2007). 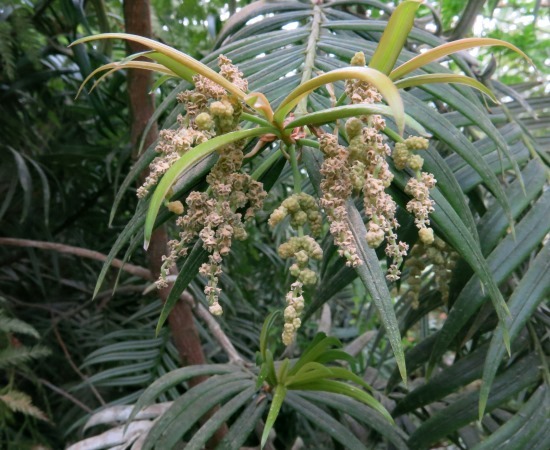 Age Structure and Growth Pattern of an Endangered Species, Amentotaxus formosana H.L.Li. Journal of Integrative Plant Biology 49(2): 157-167. 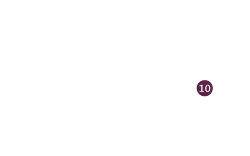 Yang, S. & Chen, C. (2005). 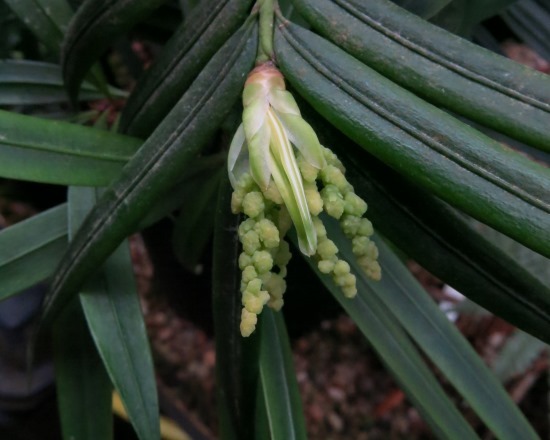 Carex scaposa C. B. Clarke (Cyperaceae): A New Record to the Flora of Taiwan. (and new localities for Amentotaxus formosana). Taiwania 50(3): 227-233. P.Thomas, 2016. Amentotaxus formosana, from the website, Threatened Conifers of The World (http://threatenedconifers.rbge.org.uk/taxa/details/978).